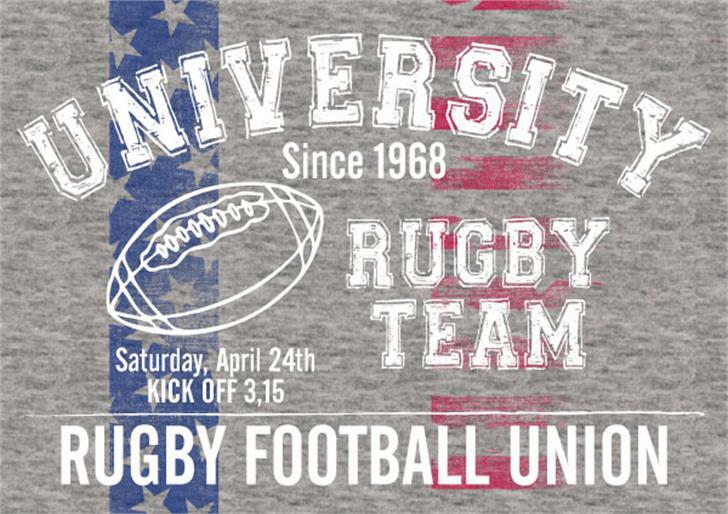 "Universal College" is one of the classic COLLEGE style font sketched with a nice handmade effect. Vintage look guaranteed! Free version available on fontscafe.com! @ejw123 Hi! Just replied to your message! im a huge sports girl and use this all the tim !!!!!!! this doesn't have the whole alphabet. right? How can I get all the characters??? @scottandmin Hi! This is a demo version only. 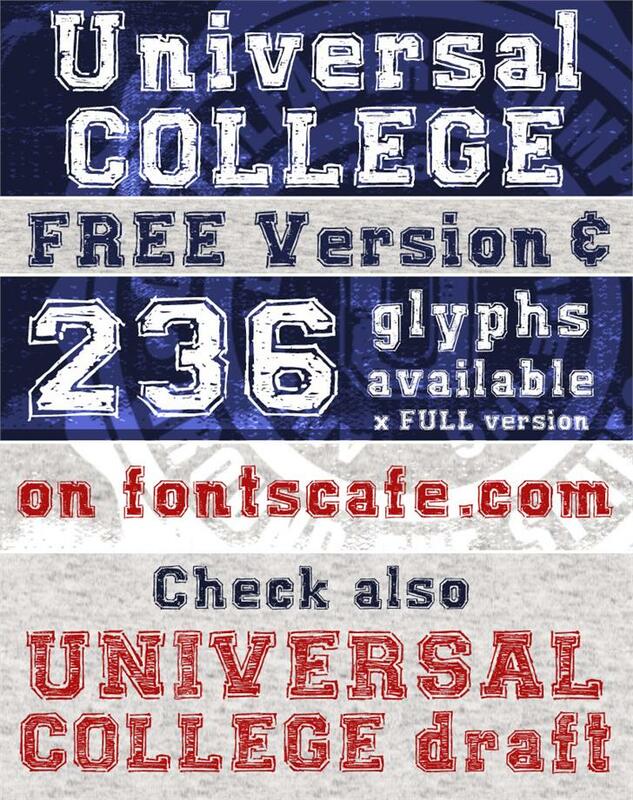 You can find the FULL or LIGHT version of our "Universal College" font here http://fonts-lab.com/font/universal-college-font . @sk8erchick Happy you like it! great font but it looks like they forget to design a "T"
@fontscafe pretty disappointing because to install the rest of the letters , fonts-lab seems to require that you install a chrome extension. is there no other way to get this full font?